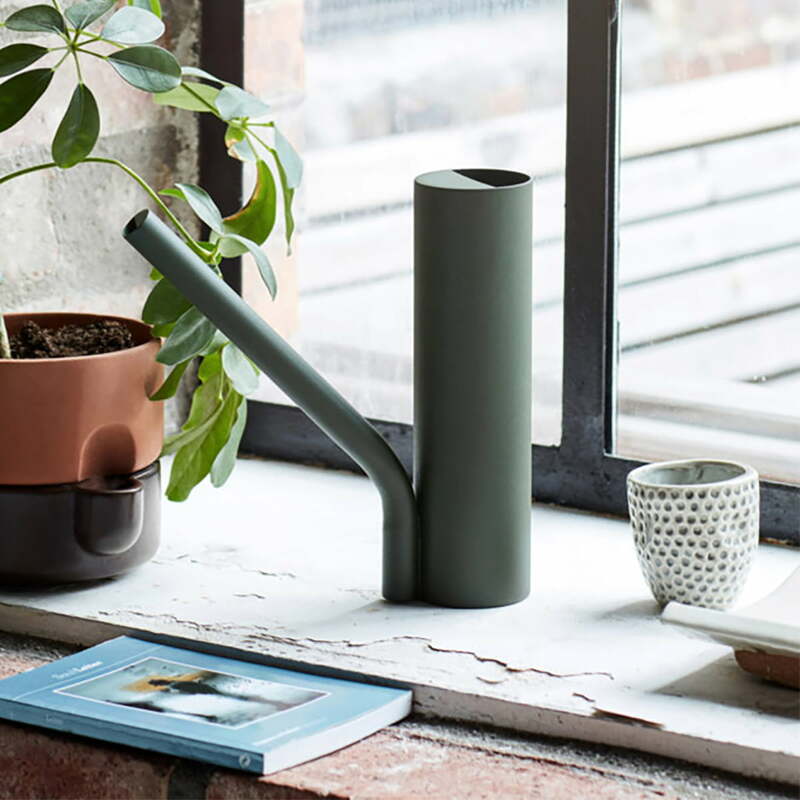 The Grab watering can is a stylish addition to the Urban Jungle or the garden. 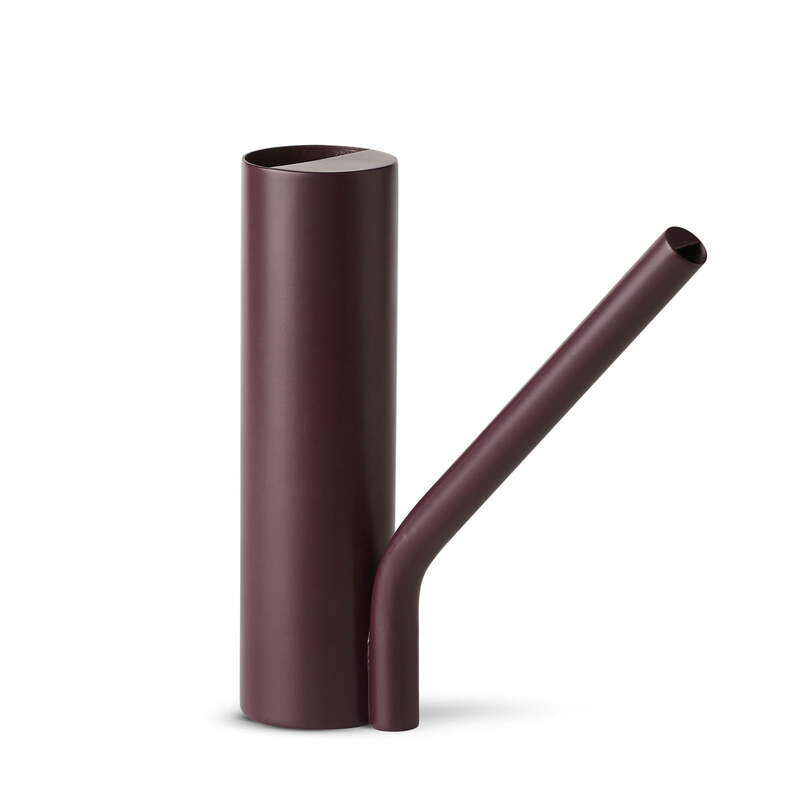 With its simple form, at first glance it appears almost sculptural and cannot be recognized as a typical watering can. Much more, it appears like a decorative object that integrates perfectly into the ambience. The slim shape of the watering can consists of two cylinders meeting at the base of the outlet. It can be grasped wonderfully with one hand and needs no additional grip. Even hanging plants that have to be watered overhead can be watered easily and pleasantly with the watering can. Whether used in the home or in the garden, the grave watering can sets modern accents in vibrant colors. The watering can is made of stainless steel. Grave watering can of Northern in single view. 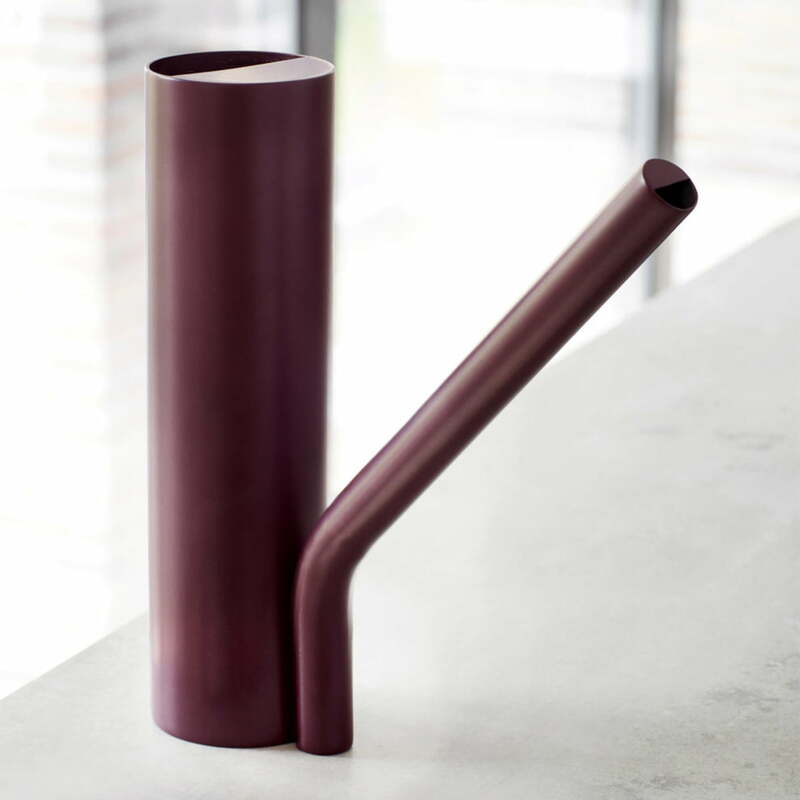 The cylindrical jug was designed by Stine Aas. It can be grasped wonderfully with one hand and needs no additional grip. Grave watering can of Northern in the ambience view. 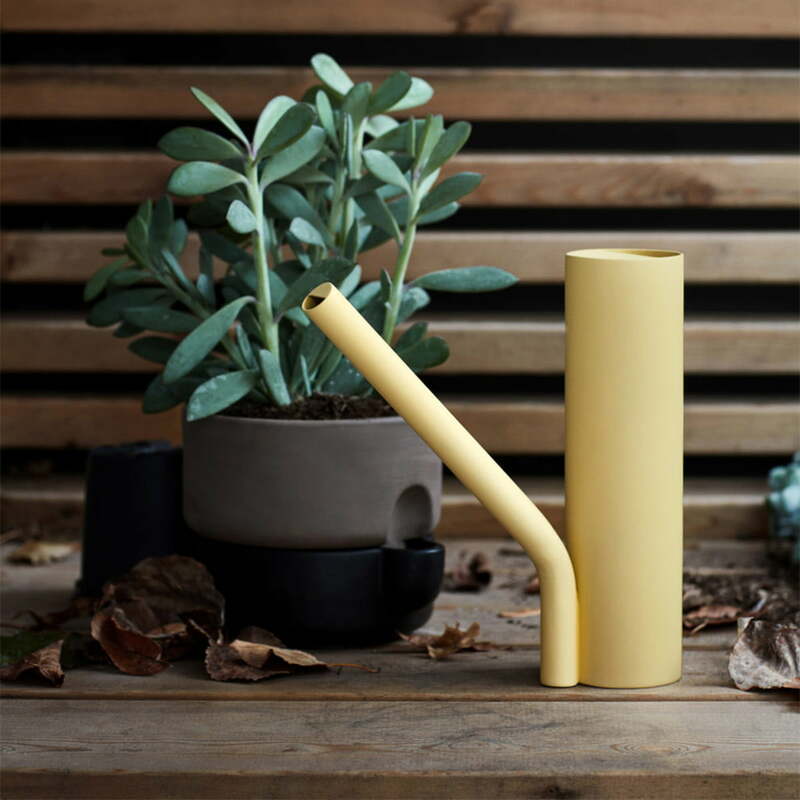 Whether used in the home or in the garden, the grave watering can sets modern accents in vibrant colors.